The perfect introduction to Egypt, the sampler follows the Nile from the Pyramids, Sphinx and Museum in Cairo to Aswan and Luxor. 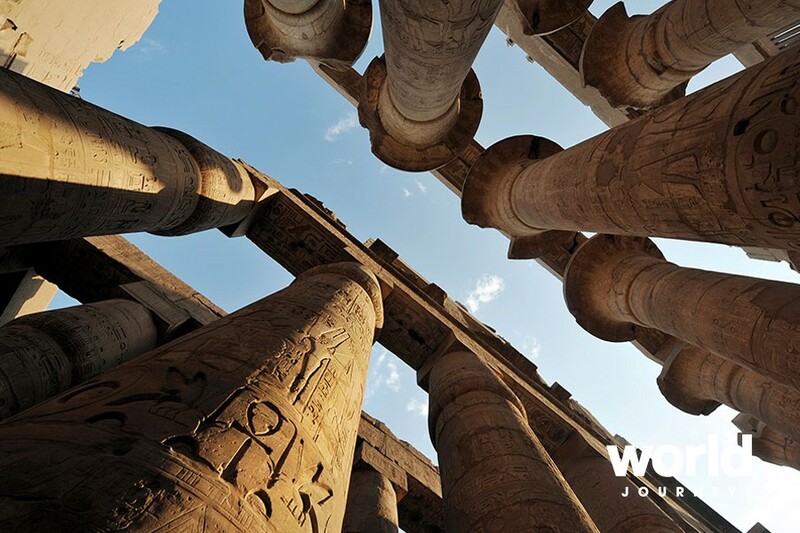 From this pretty town overlooking the river, join a Nile cruise to visit the extraordinary temples of Philae, Kom Ombo and Edfu before exploring the Valley of the Kings and Queens. 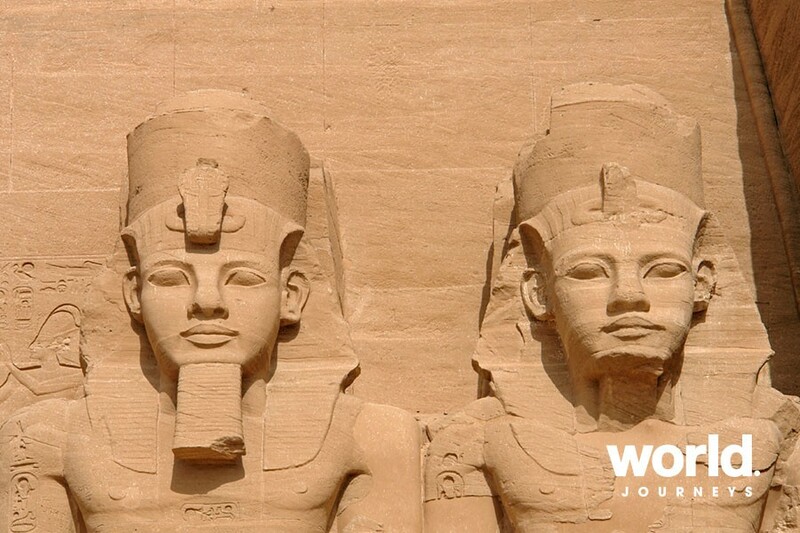 If you wish, you can add the massive temples of Ramses II and his wife Nefertari at Abu Simbel, threatened by rising waters of Lake Nasser, these beautiful temples were rescued and relocated by UNESCO stone by stone higher up the lake shore. Day 1: Cairo You will be met and transferred to your hotel. Day 2: Cairo A full day of sightseeing to the mighty Pyramids of Giza. 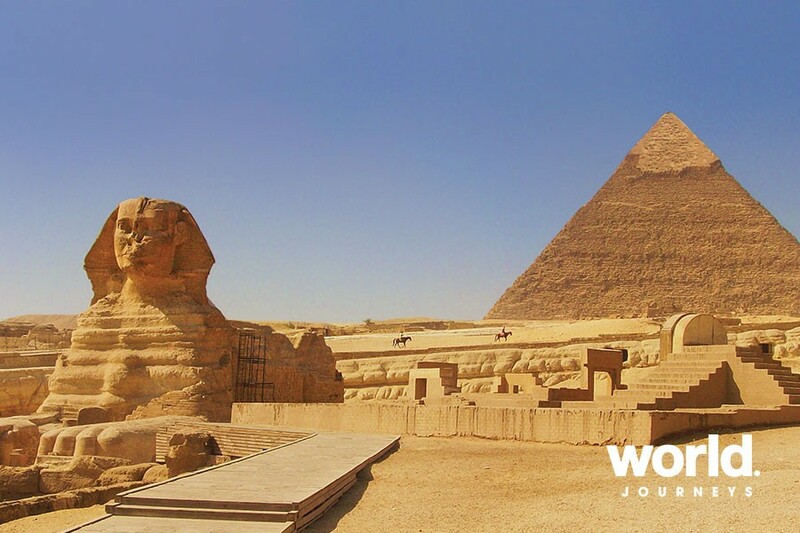 See the Sphinx hidden behind the Great Pyramid and after lunch head further into the desert. 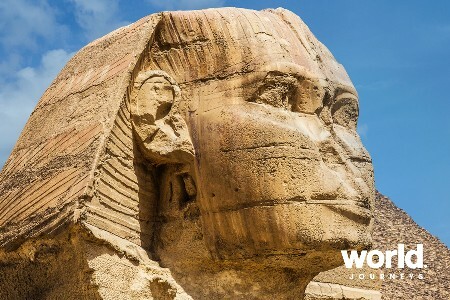 Visit the ancient capital of Memphis with its huge statue of Ramses II before continuing to the Step Pyramid at Sakkara. 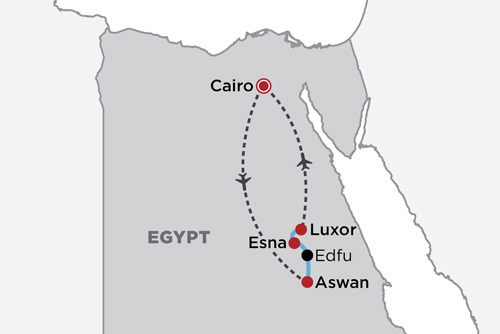 Day 3: Cairo > Aswan (must be a Fri) Fly to Aswan and transfer to your cruise moored near the town centre. Optional flight to the temples at Abu Simbel. 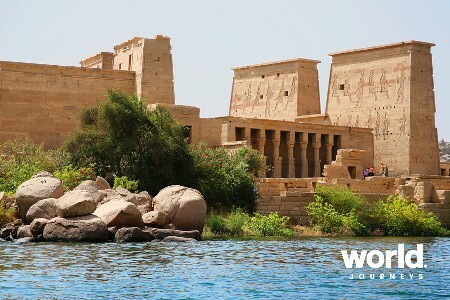 In the afternoon join your English-speaking guide and visit the High Dam, the Unfinished Obelisk at the granite quarries and take a motorboat across to Philae Temple. Day 4: Aswan > Edfu > Esna Set sail from Aswan this morning. It is a pretty section of river as you sail toward the twin temple of Kom Ombo. 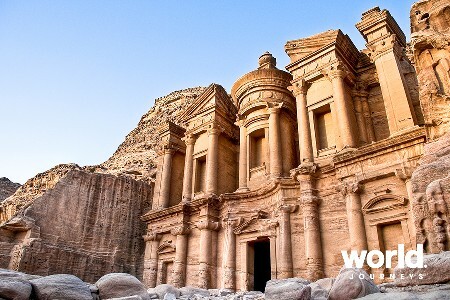 Visit the temple with its fascinating medicine wall, Nilometre and mummified crocodiles. Continue sailing for Edfu and visit the wonderful temple dedicated to Horus. Overnight near Esna where the ship will pass through a lock. Day 5: Esna > Luxor Sail early on to Luxor and visit the Valley of the Kings (entrance to the tomb of Tutankhamun is additional and paid locally). 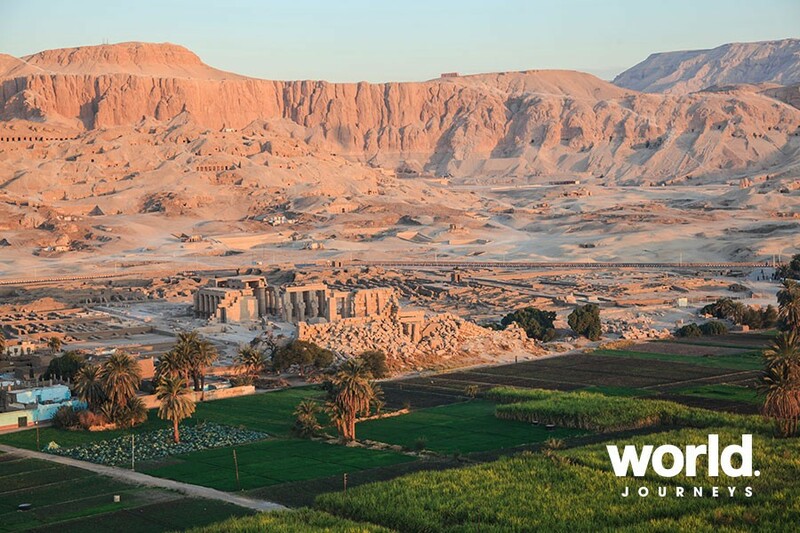 Also visit the Valley of the Queens and hopefully catch a glimpse of the Colossi of Memnon. 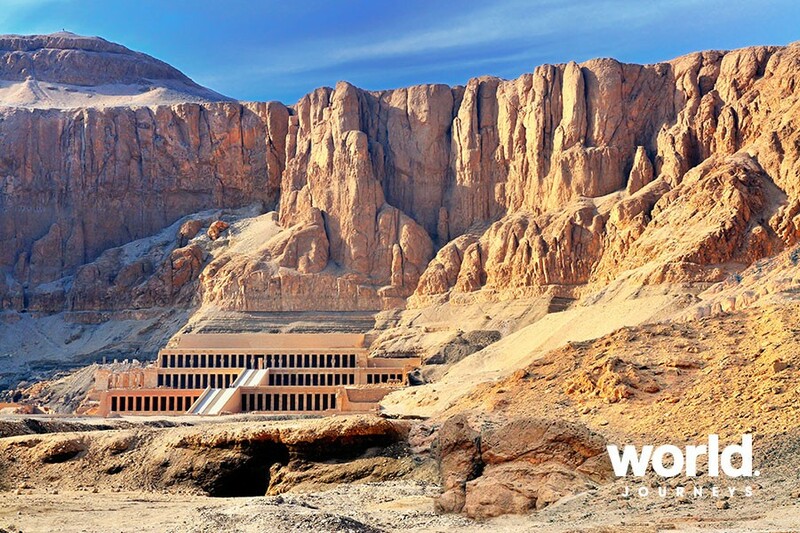 Day 6: Luxor Disembark your cruise this morning and transfer to your hotel. The rest of the day is spent at leisure. 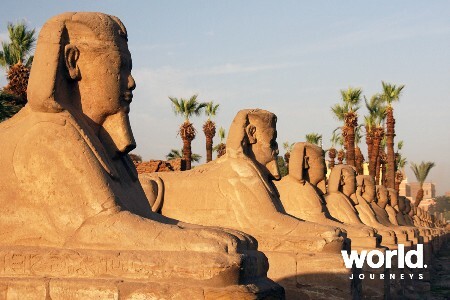 Maybe visit the mighty temple of Karnak or charming Luxor Temple located right in the centre of town. 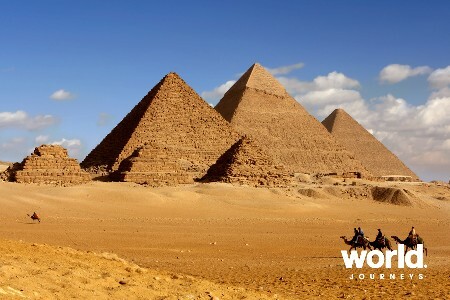 Day 7: Luxor > Cairo Fly to Cairo today and transfer to your hotel. The afternoon is spent at leisure. 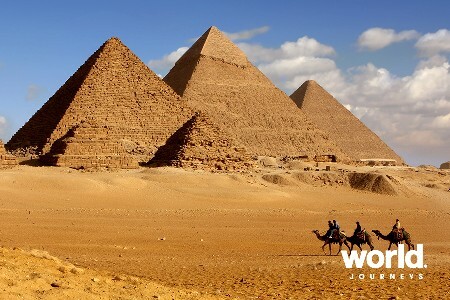 Day 8: Cairo Enjoy a fascinating day today as you visit Cairo Museum with its thousands of artefacts on display. See the treasures from the Tomb of Tutankhamun and if you wish, visit the Mummies Room (entrance fee additional). 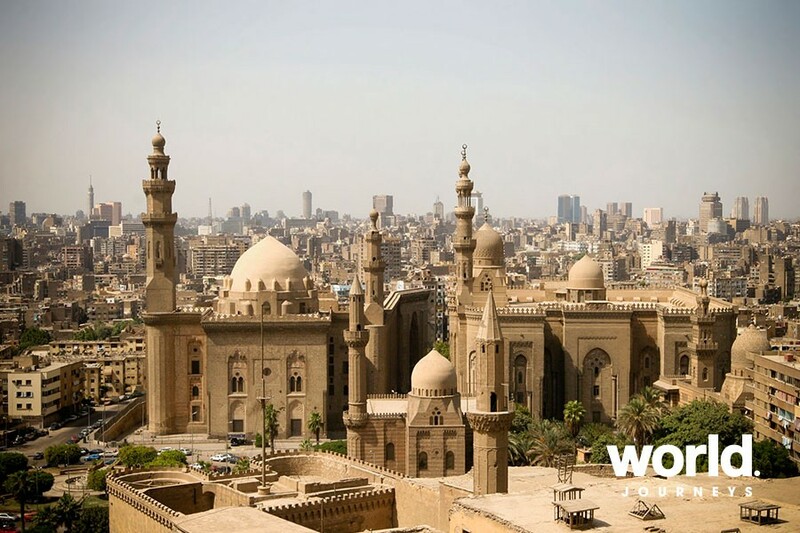 Continue to the Citadel, visit Old Cairo and colourful Khan el Kahlili Bazaar. Day 9: Cairo You will be transferred to the airport. Supplements apply over Christmas and New Year. Please contact World Journeys for details. Abu Simbel by flight from Aswan prices on request. This itinerary can be customised to suit your requirements.